We all know that part of a healthy hair regimen for waves and curls means keeping it well nourished and moisturized. If you're experiencing frizz and dryness then your curls may be begging for a deep conditioning treatment. And if you are one of the many curlies who feels their hair just won't curl anymore, then you may have experienced heat damage and a deep conditioning treatment can help revive your curls with the moisture it needs. Regular deep conditioning treatments will contribute to happy, healthy, bouncy waves and curls. Deep conditioning doesn't have to take all day, here's a simple, drama-free routine. Find the deep conditioner that works for you. Every curl type varies. The right deep conditioner will be rich, thick and just enough nourishment to leave your hair healthy, and not greasy. I like Ojon Rare Blend or Miss Jessie's Sweetback Treatment. If you prefer to make your own with household ingredients, try this homemade mayonnaise DC or a banana and egg mask. Apply conditioner to soaking wet hair. Lay it on! Make sure you cover every strand with the conditioner. If you can’t see your own hair color any more, you’ve done a great job! Cover up with a shower cap. Cover up your coated head with a shower cap or wrap your hair in plastic wrap or a warm, damp, towel. Most conditioners will give you a time to keep it on - but usually 15-20 mins works for most types. It's important to open the cuticle of the hair and allow the conditioner to work into your hair shaft and scalp. You can use a bonnet/hooded dryer or just sit in your bathroom under a steamy shower. Try adding 5-10 mins of heat to your treatment. Rinse and let your hair air dry. If you don't have time in the day to deep condition without air drying, sleep on it. Rinsing the conditioner with lukewarm water is usually best. Be sure to finger comb your hair under the shower and wash all of the product out. However, for thinner and finer hair, this may not be the best option. How often should you deep condition? Deep condition 1-2 times per week, depending on the needs of your hair. 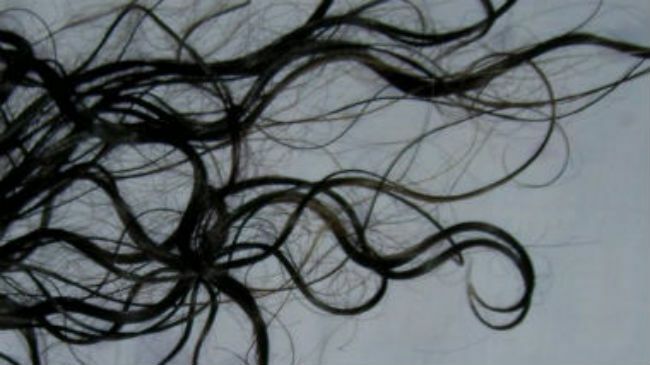 If you are growing your hair out or it has chemical damage, more treatments may be necessary. If your hair is healthy, then maintaining a once a week treatment for your hair should be simple. Weather and seasons will also play a factor (intense heat, chlorine water, etc.) so be sure to treat your hair accordingly.